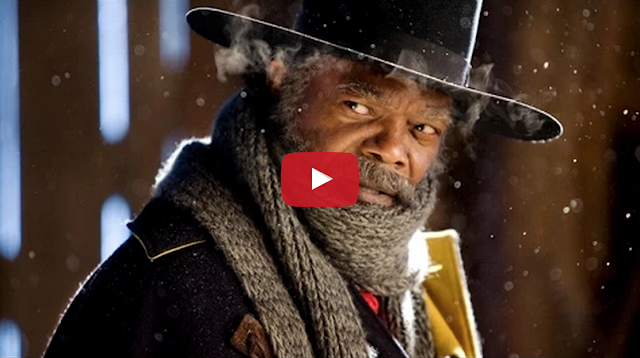 Here's the official first look at director Quentin Tarantino's upcoming 2015 western movie, The Hateful Eight. The film, which stars Samuel L. Jackson, Kurt Russell, Jennifer Jason Leigh, and Bruce Dern, comes to select theaters on December 25, 2015. "In post-Civil War Wyoming, bounty hunters try to find shelter during a blizzard but get involved in a plot of betrayal and deception."